Nothing gets past the conspiracy theorists of r/leagueoflegends. Breathe easy, Swain mains, you’re finally getting a new skin, according to Riot’s Instagram post today—just in time for his major update in tomorrow’s patch. A member of the League Reddit community uncovered clues last month that this skin may be released soon, and Swain’s large-scale rework seemed like the perfect time to do it. Say hello to Dragon Master Swain, one of the most fan-requested skins in League of Legends history. Typically, when a champion is overhauled on such a large scale they don’t get any new skins. This is probably because all of their already-released skins need to be totally redesigned and relaunched, and that’s sort of like getting a bunch of new skins. That’s what happened to Warwick, Galio, Urgot, and Evelynn last year, anyway. Not this time, though. Not only will all of Swain’s skins be redone along with his update, but he’s also getting a new skin for the first time since 2012, when Tyrant Swain was released. Dragon Master has it all—new abilities, animations, and, we assume, sound effects. 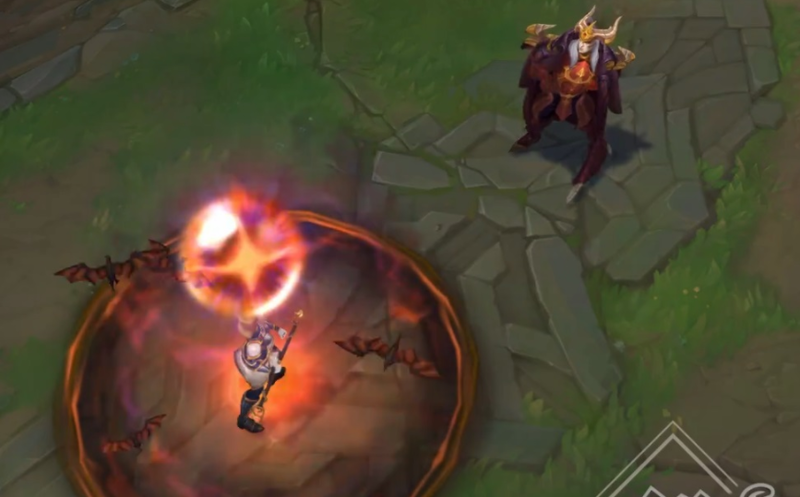 The skin will likely make its way to the PBE for testing this week after Patch 8.3 goes live tomorrow.